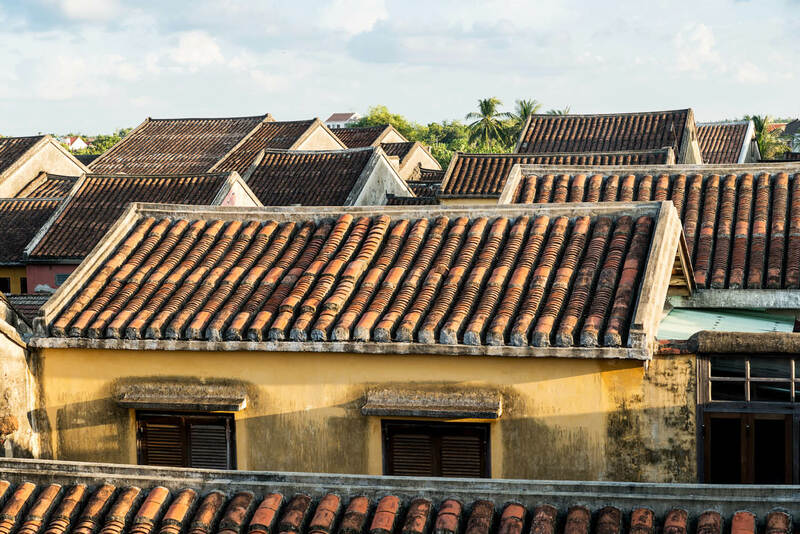 Hoi An is a near perfectly preserved 18th century port town with hundreds of wooden frame buildings forming a captivating slice of Vietnamese heritage. Day and night in Hoi An are seriously different propositions. Here’s how to make the most of your 24 hours in this ancient Vietnamese citadel city. Hoi An was fortunate in that it escaped the utter destruction meted out on other parts of the country during the ‘American War’; funnily enough they don’t call it the Vietnam War here. This means that some 1000 original timber-frame buildings, including mansions, temples and pagodas dating back to the 17th and 18th centuries have been wonderfully preserved. 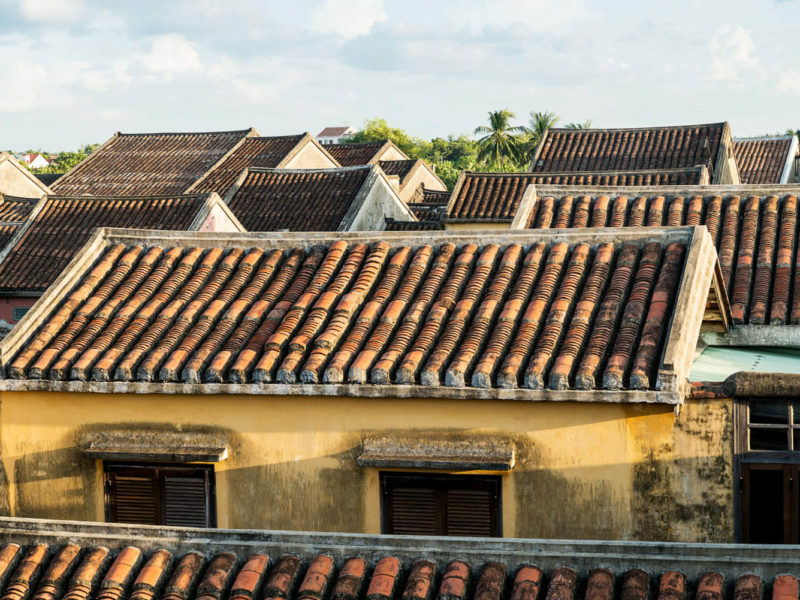 You could say that it’s Vietnam’s equivalent of the city of Bath in England – an architectural snapshot of a bygone era. It’s for this reason that UNESCO listed Hoi An Ancient Town as World Heritage, a rare example of a Far Eastern trading port that has been active since the 15th century; a romantic place where cultures collide and you feel adventure could take hold. Chinese, Japanese and French influence pervades the labyrinthine streets. Take a look around Quan Cong Temple, a 17th century temple built by the Chinese to honour a Chinese general and venerate a deity of the sea, a place where merchants could come to pray for good luck before setting sail with a hold full of goods. Steeped in symbolism and laden with mythical figures, you could spend an entire morning here marvelling at its intricate stonework and teasing out the layers of symbolism. Another key stop if you only have a day in Hoi An: visit a perfectly preserved merchant’s house – the 19th century House of Tan Ky is an evocative example of the wealth of Chinese traders and their families, with its ornate dark timber walls and gorgeous stone courtyard surrounded by a wooden balcony that backs out on to the river to allow easy access for merchants and goods. Stay at the Four Seasons The Nam Hai just outside town (like I did) and you can take advantage of chef Tran Van Sen and his wonderful Cooking Academy. Not only will you learn how to stitch together some high-level Vietnamese cuisine, including crispy crab rolls, a green mango salad and grilled pork with vermicelli, but you’ll gather the ingredients yourself from the Nam Hai’s own on-site small holding next to the cooking school’s newly renovated kitchen, as well as Hoi An’s ancient and famous Central Market in the Old Town. The market is a sprawling mass of undercover stalls spilling out onto the surrounding streets with traders crouched over colourful arrays of vegetables and spices under their wide-brimmed conical non la (leaf hats). Buy herbs; meat; vegetables; exotic fruit; a befuddling array of spices; and the whole market backs onto the Thu Bon River where fish, squid and shellfish is unloaded straight from fishermen’s boats. To see the market at its frenetic best, get up early and head to the docks for 7am when a feeding frenzy of buying takes place to get the best catch. You’ll have to squeeze past locals frantically bartering for goods for that evening’s supper. If it all gets a bit much then there’s always the food hall where all the Hoi An and Vietnamese classics are prepared for you; try the local dish of cao lau – steamed noodles, herbs, lettuce, coriander, sliced pork, lime, and a bit of chilli sauce. In promotional material for Hoi An you’ll see the town’s famous Chua Cau, a 16th-century Japanese bridge of stone, wood and an ornate, tiled rooftop, looking like it’s been staged for a period drama, replete with Vietnamese traders in traditional dress carrying baskets of greens across a shoulder. How lovely. When you come to see this most famous of Hoi An sights, the reality is a little different; you’ll be one of tens of tourists trying to get that perfect shot you saw in the brochure. All good things come to those who wait – and a lull in the crowd can mean you capture a great shot of this ancient bridge that looks like it’s been plucked from a garden in Kyoto. Alternatively, walk down to the road that snakes along the waterway below and you can get a shot of its resplendent profile. Off to one side of the covered bridge – there’s a small temple hanging over the water so you can pay your respects to a deity of weather; Hoi An floods regularly come typhoon season, becoming an Asian Venice, and so it’s easy to see why such a shrine exists on this little bridge. Hoi An is another city at night, an electric atmosphere of tourists and locals wandering the streets after dinner; it’s a place to amble for hours just taking it all in under the multicoloured light from hundreds of traditional lanterns, hanging above the laneways. Emerge from the old quarter to walk along the banks of the Thu Bon River, where you’ll be offered to buy a lotus leaf from numerous sellers; you set them afloat with a candle and a prayer to join countless other offerings dotting the river like a mass of fairy lights. Cross the dramatic Bridge of Light, and watch people pass beneath in traditional long boats on a night-time river tour of the town; together with all the lotus offerings, it’s a paradisiacal vision of south-east Asia you’ve always dreamed of. The other side of the river appears to be more of the same, ancient architecture, and while some of it is centuries old, An Hoi, as it’s confusingly called, has undergone redevelopment to make it something of an entertainment district in recent years. Make your way to the lantern sellers that line the start of Nguyen Hoang; their stalls of paper lanterns of all shapes, sizes and colours are a dazzling sight in themselves. You can never have too much of Vietnam’s perfectly pitched cuisine; it forms something of a perfect accompaniment to the heat and humidity, with its balanced spices, fresh greens and clean flavours. It’s reason enough to travel to the country, and Hoi An has some of the best restaurants outside of Hanoi. We recommend HOME Hoi An, in an old French townhouse in the heart of the old town. It serves traditional Vietnamese alongside a unique fusion menu that enables chef Thien to take classics in new directions, the ingredients bought fresh from Hoi An market and local gardens. Try the Hoi An noodles with pork char-siu or get a sample Hoi An’s street food with dishes like wok-fried spicy clams with local basil or grilled oysters with salted eggs. To see what all the fuss was about at 7am in the market, try the wok-fried crab in a spicy tamarind sauce. Crossing the Bridge of Light will take you into the livelier half of Hoi An, where you’ll find plenty of backpackers doing what backpackers like to do: getting inebriated. We much prefer the more sedate old quarter of Hoi An, enjoying a wine while watching people stroll along the ancient streets. One road back from the Thu Bon River on the old side you’ll find a few nice bars along Nguyen Thai Hoc. Start at White Marble Wine Bar that purports to have the biggest selection of wines in Hoi An. You’ll find it on an attractive corner with the road Le Loi, and from the restored heritage two-storey building you can enjoy a glass with views of the river. Then you should try Q Bar just down the road, which channels Hoi An’s obsession with night-time colour in its back-lit bar and lanterns. This is the spot for a martini or a colourfully in-keeping signature cocktail. Staying there: We stayed at the luxury Four Seasons The Nam Hai, just outside of Hoi An. The hotel can provide tours of the Hoi An as well as other World Heritage sites inland and you can get to grips with Vietnamese cuisine at the resort’s new The Nam Hai Cooking Academy. Getting there: Vietnam Airlines fly direct from Sydney to Hanoi and are the main carrier to Da Nang International Airport for access to Hoi An.